Our ketogenic journey is still marching on, and we’ve been continuing to work on how this new way of eating can fit as naturally into our lives as possible. We don’t like to feel like the meals or snacks we’re eating are imitation this or pretend that. 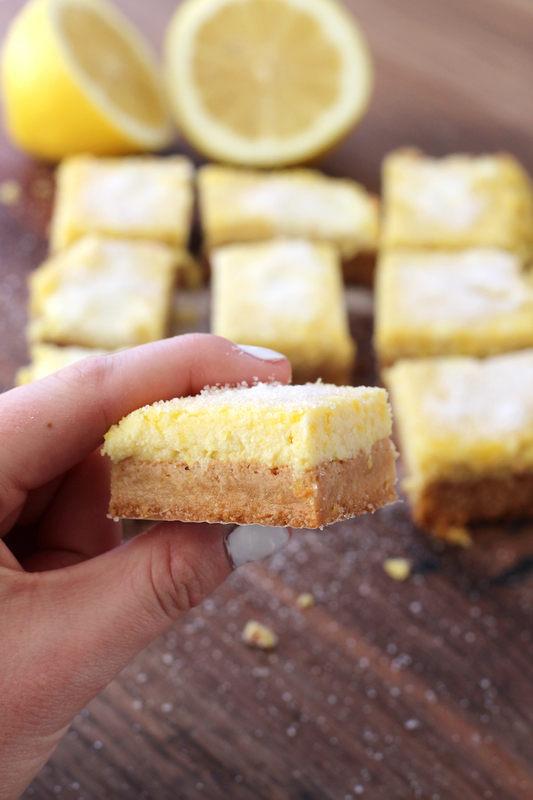 Desserts are one of the toughest pieces of the puzzle, which is why we’ve been trying so hard to perfect this Low Carb Lemon Bar Recipe for the keto diet. 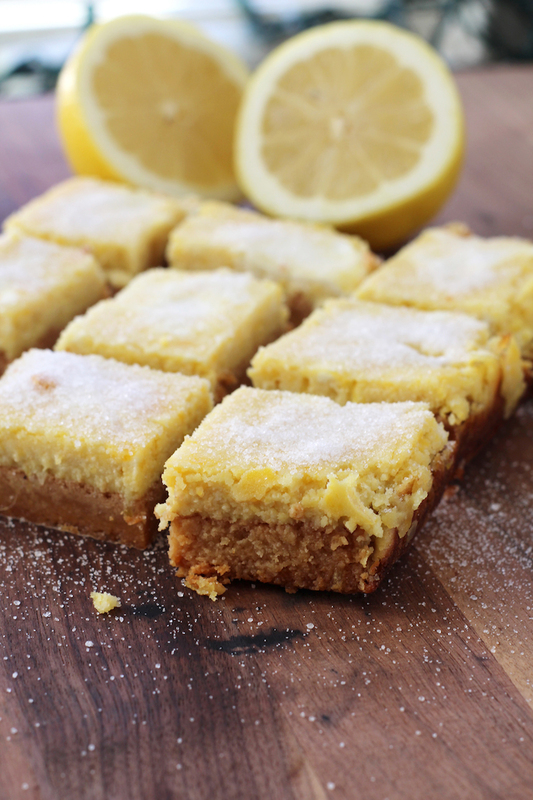 At approximately 4 net carbs per serving, you can pop one of these refreshing, tart lemon bars and not feel guilty. But best of all, you’ll actually feel like you had a REAL dessert, not something you need to pretend to enjoy. A quick note about erythritol. Besides being extremely difficult to pronounce, theres really no downside to it minus it’s relative high cost. We got a big bag of it and it gets used slowly, so it isn’t too bad. After trying a lot of natural sugar alternatives, this is clearly the best one. No aftertaste, no weird chemical processes. It has a very unique melt-in-your-mouth quality that makes it seem quite decadent too! Mix together the ingredients for the crust. Line a small 9×5 pan with parchment paper and then press the crust mixture into the pan and put in the oven for 30 minutes. While the crust is baking, mix together the lemon layer ingredients. Once the crust is done (should be just starting to turn golden brown), pour the lemon layer mixture on top and place back in the oven for about 25-30 minutes. Let cool completely. They are enjoyed best cold, so we stick them in the fridge overnight and have them the next day. Sprinkle on some erythritol and enjoy!